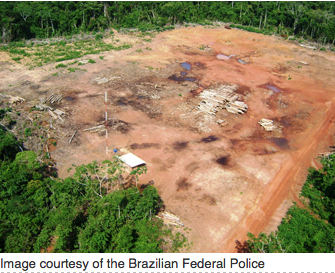 While the investigation focused on activities in the state of Mato Grosso, which is located in the southern Amazon and is one of the most deforested regions largely due to clearing land for expanding soya farms, it touched numerous others, including São Paulo, Paraná, Rio Grande do Sul, Espirito Santo, Minas Gerais and Distrito Federal. the wife (Jane Riva), son-in-law (Carlos Antonio Azóia) and two advisors to the President of the Legislative Assembly (Joseph Riva). The illicit logging scheme centered on fraud in the administrative and planning process for timber harvests. This locus, deep within the bureaucratic machinations for environmental permits, obscured the criminal activities and made them particularly tricky to detect. 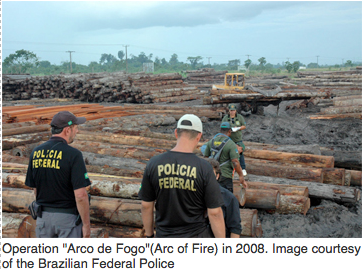 The Brazilian Federal Police employed a combination of traditional investigative techniques, such as on-the-ground surveillance and analysis, electronic monitoring of telephone and internet, financial audits, remote sensing and analysis of satellite images, and forestry management knowledge by technical experts, to uncover multiple offenses. At their heart, these transgressions entailed government authorities, foresters, businesses and landowners knowingly falsifying or certifying inaccurate analyses and documents in order to make illegal logging look legal. 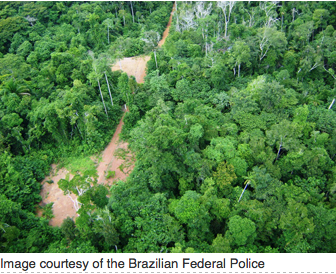 It often started with government officials approving forest management plans based on bogus information. This created "dummy" records that could later legalize wood taken illegally from national parks and indigenous reserves. Permits for harvesting wood were based on these forest management plans, which laid out what trees grew in a particular area and determined what could sustainably—and legally—be harvested. Frequently, however, the inventories in these plans were purposefully inaccurate and asserted that particular species and/or volumes of wood existed in specific areas that could be harvested legally, when in fact they did not. Typically, the lands did not contain the promised timber. Instead, loggers felled timber from national parks and indigenous reserves, and this wood was passed off as having been harvested from the legal and approved location. The motive for these bureaucratic and technical gymnastics was simple: profit. 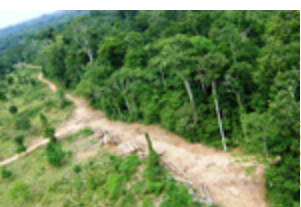 Documentation that timber was legally harvested raised its sale price significantly, from $28 for an illegal log to about $770 for a legal one. 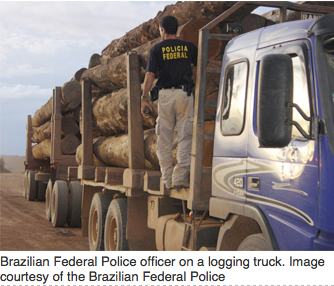 Brazilian laws to protect the rainforest require timber companies to show that their logs came from an approved source. Coming just four months before Brazil's elections, Operation Jurupari has sparked a political and legal firestorm made all the more intense because of the May 21, 2010 arrests of top government officials. On October 3, 2010, Brazil will elect its President, all seats in its national Chamber of Deputies and 54 (out of 81) seats in its Federal Senate, all of its state governors, and all seats in its state legislative assemblies. Of particular note is the potential impact on the political prospects of Federal Senate candidate Blairo Maggi, who was Mato Grosso's former governor (after his two term limit, he passed the reins to current Governor Silval Barbosa in April 2010) and is also the world's top soybean producer. Maggi, who is known as "The Soya King," long had a reputation as an anti-environmentalist and destroyer of forests. In 2005, he won Greenpeace's Golden Chainsaw award for the Brazilian person who most contributed to the Amazon rainforest's destruction. At the time, Greenpeace's Amazon Campaigner Paulo Adario said, "Maggi deserved the award. After two years as the State Governor, he has turned Mato Grosso into the State champion of deforestation, responsible for 48 percent of the total forest loss in the Brazilian Amazon." Since then, however, he has done an about-face from eco-villain to eco-hero. By 2009, he reformed his views and was pushing for climate solutions and promoting his own steps for ending deforestation, such as the idea of giving landowners financial incentives to leave trees standing, because of government inaction in this arena. However, the arrests of many in his previous administration call into question Maggi's environmental change of heart, a debate that had always simmered underneath the surface. One of the main people in charge of cleaning up Maggi's reputation was his former Environment Secretary, Luiz Henrique Daldegan. However, Daldegan was one of those arrested as part of the scheme to take wood illegally from public lands. Another top official in Maggi's administration, the Deputy Secretary of Environment, Afrânio Migliari, was also arrested. Migliari is accused of leading the scheme and owns a company that sells timber management plans, which he then "followed and approved" within his official duties at SEMA. Adding fuel to the debate regarding the "real" Blairo Maggi is Maggi's vocal defense of his former staff. As part of this tactic, he is part of a prominent group of 17 political leaders who are calling for the immediate expulsion of the judge and prosecutor for Operation Jurupari. In addition to the Maggi controversy, Operation Jurupari casts a pall over both current Mato Grosso Governor Silval Barbosa, whose chief of staff, aide, and SEMA officials were implicated, and the President of the State legislative assembly Joseph Riva, whose wife, son-in-law and two advisors were arrested. With such high electoral stakes, charges of political bias overlay the normal legal maneuverings and appeals. On the one hand is the group of 17 political leaders who formally applied to have both the judge (Judge Julier Sebastiao da Silva) and prosecutor (Mario Lucio Avelar) for Operation Jurupari removed. Prior to the detention of the accused individuals, Judge Julier Sebastiao da Silva, a Federal Judge in Mato Grosso, issued arrest and search warrants for 91 individuals. These warrants were for "preventive arrests," meaning the judge was convinced not only about the individual's criminal activities but also certain that, if they remained free, they might menace or corrupt witnesses, destroy evidence and so on. The preventative arrests meant the defendants were immediately imprisoned and their assets seized. The amounts varied based on the suspect's involvement. The largest confiscation was Afrânio Migliari's, with $225 million in assets seized. By comparison, Migliari's salary at SEMA was under $5,700 per month ($68,400/year). Following their detention, 64 detainees appealed (through an application for habeas corpus) and claimed the arrests were politically biased. The initial petition was to be examined by the chief judge of Federal Court of Region 1 in Brasilia, Italo Fioravanti Sabo Mendes, who was expected to conclude the arrests were legal and that the evidence was sufficient for prosecution. However, because one of Mendes' relatives was hired as the defense lawyer for one of the defendants, the case was instead heard by Judge Fernando Tourinho Neto of the Federal Regional Court of Region 1 in Brasilia. On May 26th, Judge Neto released all of those arrested. While the defendants are currently free, their assets remain confiscated and the criminal procedure continues. The next step will be for the court to decide if the evidence collected by the Brazilian Federal Police in Operation Jurupari is regular and legal or if the investigation was motivated by political reasons. If the court determines the latter, the investigation will need to restart from ground zero. Such a decision would also illustrate how the interests of criminals and the politically powerful can trump protecting the environment, particularly when it involves a valuable commodity like timber. Yet the converse is also true. The judicial system may well put a halt to the incessant corruption destroying the Amazon rainforest and say to the world, enough is enough. Only time will tell. 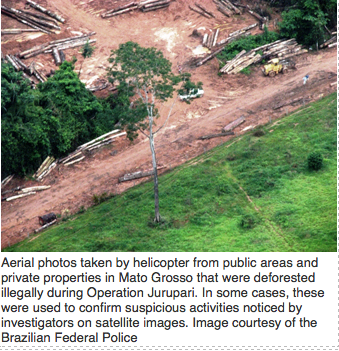 (07/08/2010) Operation Jurupari followed on several previous Brazilian Federal Police investigations into SEMA, including: Operation Curupira I (June 2005); Curupira II (August 2005); Mapinguari (2007), Arc of Fire (2008), Termes (April 2008); and Caipora (2008). 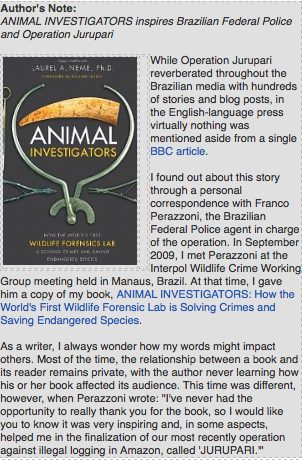 It was led by Franco Perazzoni, Brazilian Federal Police "Delegado" (or chief), who, since 2006, has headed the environmental crimes unit in Mato Grosso and been responsible for about 300 investigations on environmental crimes, of which about 75% were on illegal deforestation in federal areas. 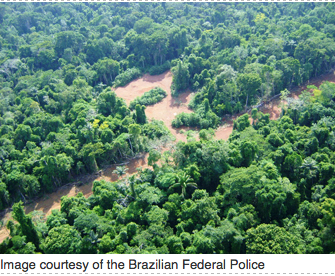 The nature of the illegal deforestation has changed over the years.